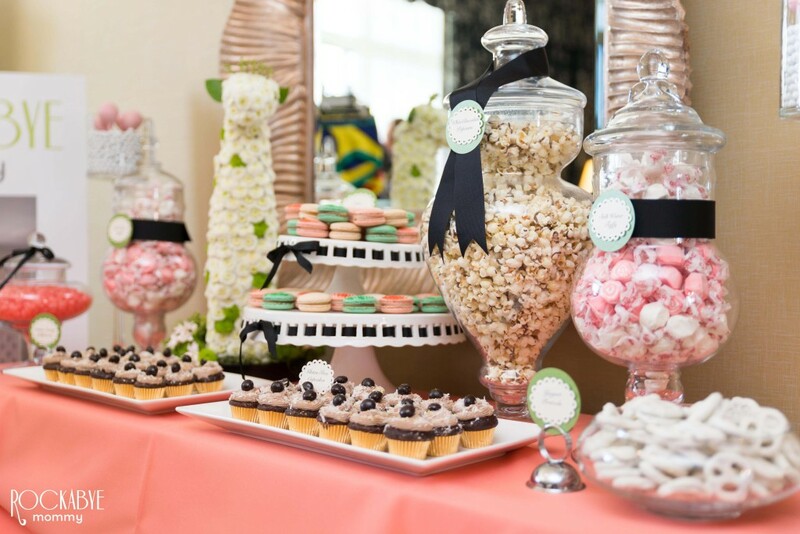 We created a baby shower inspired dessert & candy bar in a coral & lime green color scheme with a giraffe & elephant Jungle Jubilee floral sculptures! We love the Jungle Jubilee fabric by Schumacher in the punch color way so we created this table around the coral color and brought the jungle animals in with the floral sculptures. The Giraffe floral sculpture was such a work of art and so so cute in person! That lil giraffe put a smile on everyone's face.